Finding a well-furnished, attractively decorated accommodation at a reasonable price is quite difficult in central London. But not anymore! 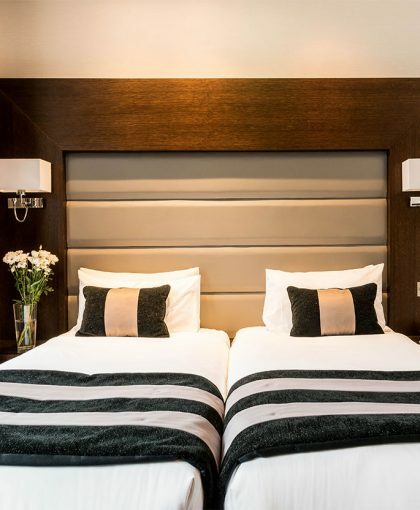 We, at Park Avenue Baker Street offer our guests with the best of the quality accommodations and services. We welcome you to our impeccable bedrooms, attractively designed to deliver comfort and luxurious essentials to all our guests. 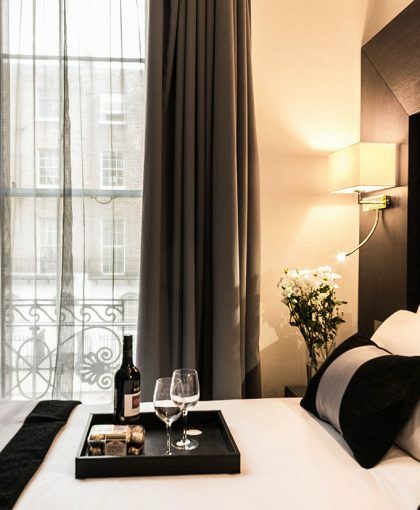 Situated in the heart of the most fashionable place in London, the hotel provides you a proximity to many places of attractions in the city. 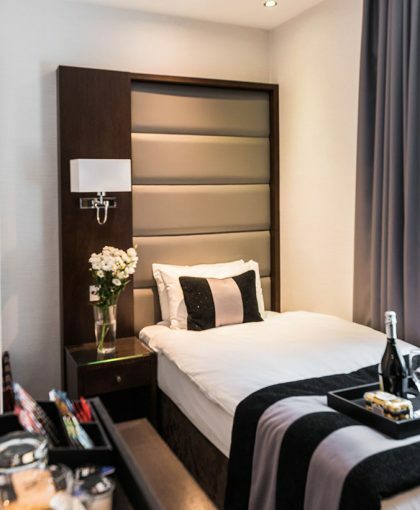 We want you to enjoy your stay in London whether you’re travelling for business or leisure. Our rooms are designed with you in mind, and are equipped with the necessary features to serve as your home away from home during your travels. We have stripped away the unnecessary aspects, as we would rather provide you an accommodation that excites you than a restaurant you might never eat in or a spa you may never set foot in. At Park Avenue Baker street, we strive to consistently keep a fresh and modern ambience without compromising on convenience and comfort. All our rooms are non-smoking, furnished with comfortable beds, plush bedding and comes with LCD flat screen TV, Wardrobe with hangers, dressing/working table with chair, Media hub, Mini-bar, Microwave, Digital safety deposit box, Air-conditioning and heating, Tea and coffee making facilities, Hair dryer and free Wi-Fi as standard. Each room has its own private En-suite with modern design and features. Furnished with multifunctional shower, where you have a choice of both conventional and rain style facilities. Our bathrooms are contemporary and chic, installed with floor heating and equipped with our own branded spa range toiletries. Our club room amenities are further enhanced by the inclusion of complimentary soft drinks, additional toiletry kits and slippers. All rooms at Park Avenue Baker Street have integral amenities and services that are lined with the best porcelain. The well furnished hotel rooms are featured with satellite TV, hairdryer services, and even direct dial telephones. 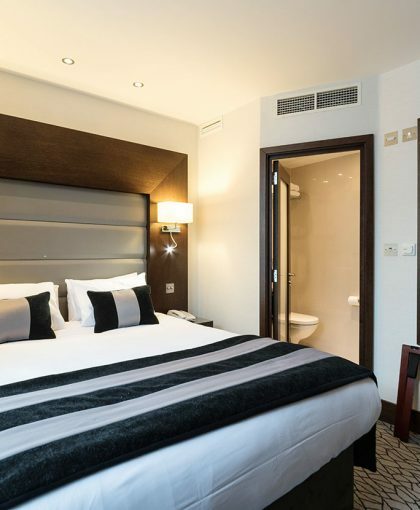 Our full range of in-room facilities to make your stay more enjoyable. Media Hub-with European and International plug sockets. Complimentary smart mobile phone to use during your stay with free calls. Complimentary bottle of Hildon water, biscuits and selection of tea & coffee.